Golf balls litter our course like orphaned Easter eggs. There is a bucket of balls sitting on the first tee and I’ve noticed my Dad and Mom and Karen whacking shots from the first tee to points distant. They hit balls with corporate logos, balls beaten into shapes more closely resembling eggs, neon lime balls and balls so old they’ve weathered to a dusty tan, creased and beaten within an inch of their life. Guess I need to hire a range boy to shag the balls. They say the world is round and those behaviors spun out into the orbital cosmos somehow return to you like loony carrier pigeons. Thus the golf balls that litter our little course return to me since I’ve hit countless balls out into the dusk, off cliffs and bridges, into woods and waving corn fields, and over rivers and streams, all for the sheer joy of hitting a ball to watch it soar. I never hit them intending to find them, but they’ve returned unbidden. I’ve always harbored a fascination with golf balls…and baseballs. On my office shelf are two baseballs, one autographed by Stan Musial and the other by Johnny Bench. There should be three, except for my poor custodial care of a snared baseball pitched by Nelson Briles and fouled off along the first base line of the Astrodome by Jesus Alou, which I lost while having a catch with a buddy. 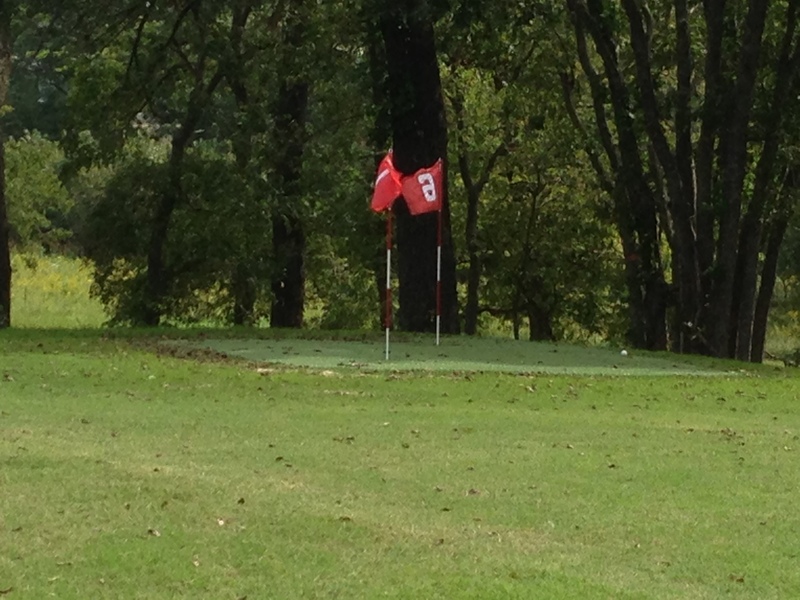 Balls…I can remember seeing them at that little country store in Nowata on my first trip to play golf. I walked into that store with Dad and saw Bama and Moon pies vying for attention on the chrome rack near the front counter next to the sleeves of Spaulding Dot golf balls. 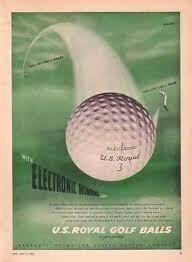 Will Rogers famously said, “I never met a man I didn’t like,” and I never met a golf ball I didn’t like. Mesmerized by sports and balls, they became my companion of choice and while other boys played with GI Joe or a water wiggle, I threw a ball at a strike zone traced with a broken shard of sandstone on the brick wall of our house. I loved pitching Little League baseball, gripping the Rawlings leather with crimson stitching before it was abused by bats and dirt. But the Spaulding Dot was my first love. 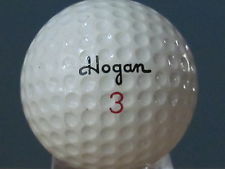 Later, I’d smack a Royal hexagon dimpled ball like an F-16 swooping from a carrier deck, and a small dimpled Hogan balata…the single ball Al Geiberger played with all eighteen holes in Memphis on his way to a PGA Tour record 59 in 1977…which was amazing because we called those balls eggs, soft balata balls which spun like tops, but easily scuffed and cut making Geiberger’s single Hogan ball feat just as amazing to me as his 59 given Tour pros penchant for changing to a fresh ball every hole. And the ubiquitous Titleist with various dimple patterns, has always been my fallback, the trusted ball I always return to. But the Dot was my first love. That gorgeously simple dot. 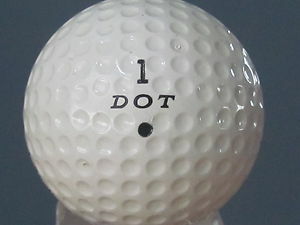 It represented the purest of shapes, a simple dot, stamped below the word Dot, an obvious but beautiful redundancy, in plain script, as if to explain that the dot was indeed a dot, and above the word Dot the number of the ball. My favorite was a 1. A Spaulding Dot 1. Old balls litter our course and I’m picking through them looking for a Dot 1. If I find one, I’ll put it on my shelf next to Musial and Bench and my hole-in-one Titleist’s. But for now, the Dot 1 remains nestled, hidden in the high grass somewhere back in 1964. Here are few more out of the past that I fondly remember. Maxfli Blue Max. Wilson K-28. Accusnet Club Special The Club Specials were 66 cents each or 3 for $1.50. You bought Titleist for $1.25 apiece only for the important rounds. Yes, I had forgotten about the Maxfli Blue Max. I actually like that ball a lot. I remember only playing Titleist for the special rounds and sometimes hitting other balls or even X-out balls for practice rounds. And small dimple Top-Flite rocks into the wind back when rules allowed ball switches. Thanks for the comment and hit ’em straight! Those amazing DOTs. When I got older, on the rare occasion I came across one, I found myself biting on them to remember clearly how soft they were. I do the same thing with jawbreakers at movies to remember how hard they were.